At first glance, the unidirectional carbon fiber crank arms look similar to the Campy Record crank set, but look closer to notice a complete removal of the carbon fiber spider arms normally attaching the chain rings to the crank arm. This new crank set is manufactured exclusively for SRM, by Campagnolo in their Vincenza factory. 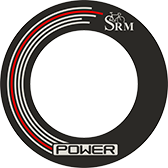 Using the same carbon layup process and exacting specifications, the new SRM-Campagnolo PowerMeter matches to any Campagnolo 11 speed drivetrain. 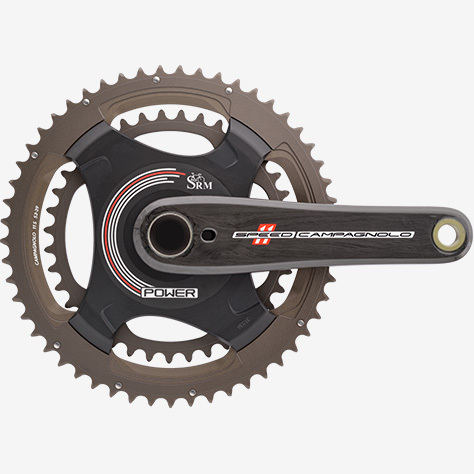 Available with dual BCD 145/112, accommodating both standard and compact chainrings. Lowest friction coefficient in the world! 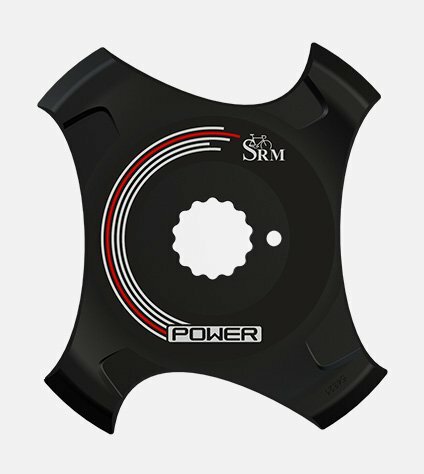 Allowing for 3.5 extra watts per pedal stroke of improved pedaling efficiency! Hollow Carbon Arms for reduced weight, while maintaining stiffness to weight ratio with Campy’s Ultra-Hollow™ Technology.